In a centenary old farmhouse of traditional Ordás valley, maintaining the structure of the original dependencies, stone in slabs and wood in floors and ceilings, we have added the necessary elements to offer a comfortable and cozy accommodation tailored to the needs of current life. They have been arranged, annexed and independent, (2) two beautiful rural houses, "La Forqueta" and "El Fontanal" appropriate to the present more demanding. We also have a rural apartment called "La Reception" in the same rural complex. 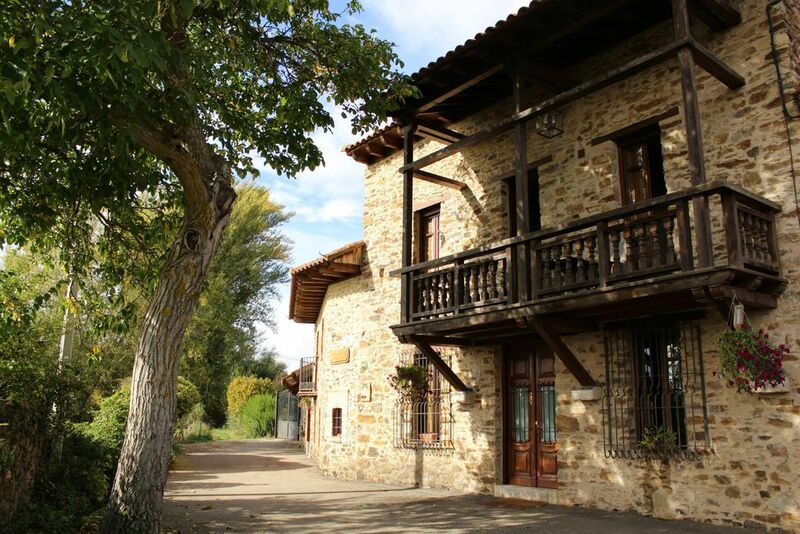 The result of the careful restoration of an old farmhouse typical of the area (bank of the Luna River at the foot of the north-western mountain of the province of León) we have managed to maintain the original structure of the building surrounded by green meadows, oak forests and Typical riparian vegetation. Only 28 km from León capital, 45 km from Astorga, 50 km from El Bierzo, 60 km from Asturias and very close to the regions of Omaña and Babia. The three establishments have central heating, fully equipped kitchen (washing machine, ceramic hob, microwave with grill, blender, bread toaster, juicer, iron ...) TV and DVD. - La Forqueta: on the ground floor it has a living room and kitchen; 1st floor a bedroom with double bed, another bedroom with two single beds from which you can access the balcony of the facade, and bathroom; on the 2nd floor attic with large bedroom with two single beds with TV and bathroom. - El Fontanal: ground floor dining room and kitchen; 1st floor a bedroom with double bed, another with two single beds from which you can access the balcony of the interior facade and bathroom; on the 2nd floor large attic bedroom with double bed, TV and bathroom. - The Reception: Duplex apartment with an original open space structure suitable for 2/4 people. On entrance floor, living room, kitchen and bathroom; on the upper floor with mansard bedroom with double bed plus double sofa bed in the mezzanine above the living room.